We are very excited to be working with InterContinental Grand Stanford for this year’s TLC Asia – Nestled in the heart of the bustling shopping, business and entertainment district of Tsim Sha Tsui East, the award-winning InterContinental Grand Stanford Hong Kong offers sophistication and heritage amidst the breath-taking view of Victoria Harbour. The luxuriously appointed guest rooms and suites, the excellent meeting and event facilities in a comfortable setting as well as a host of world-class restaurants make it the perfect choice for business and leisure travellers alike. 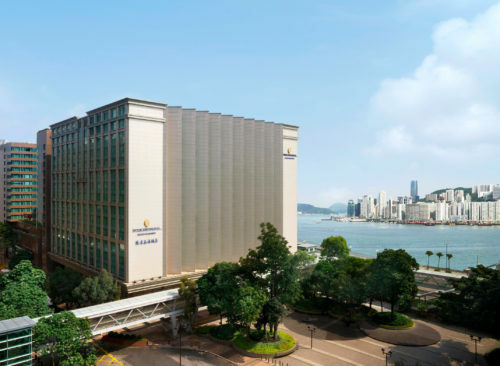 Blackboard and the InterContinental Grand Stanford Hong Kong look forward to welcoming you to TLC Asia 2019! We have negotiated special group rates with InterContinental Grand Stanford for the conference. Customised room reservation link with discounted rates will be available very soon, so please stay tuned! Below are hotels within walking distance of the conference venue. No rooms have been blocked for these hotels, so please book directly on their website or with your travel agent.